The Legal Job Pack for Lawyers is for solicitors, barristers, legal executives, paralegals and fee earners looking to get ahead in law and successfully secure a new position. Available for instant download, this pack is a selection of our products available at an extremely low price. The pack is designed to help you apply for jobs, get interviews, survive the interview (and any assessment days) and get the job you are looking for. The RRP for these products is over £150. 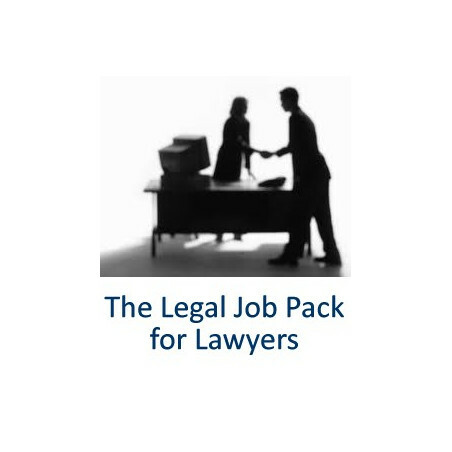 You can order the The Legal Job Pack for just £49.99. All the products listed are available for immediate download.